Air India has a number of student baggage allowance offers available. Their Al Maharaja Scholars’ Offer allows students travelling from India to a variety of destinations, on a valid student or student exchange visa, to check one free additional piece of luggage. This additional piece must weigh no more than 23 kg and the offer is valid for travel up until 31st March 2019. Destinations include Newark Airport, JFK Airport and San Francisco in the US, London and Birmingham in the UK, as well as Rome, Paris and Frankfurt. This offer is also valid when connecting through these airports to interior destinations within the US or the UK and Europe. The offer may apply to particular flights only. Air India also offer additional student baggage allowances on flights from Hong Kong to India and from Shanghai to India. Students on these flights may check an additional 20 kg of luggage, which means they can check a total of 40 kg. The offer is only valid on tickets bought in Hong Kong or China and students must be travelling on a valid student visa. Tianjin Air offers international students an additional checked baggage allowance. This means they can check two 23 kg pieces on routes between Tianjin and London/ Tokyo/ Osaka/ Sapporo/ Seoul, between Xi’an and London, and between Chongqing and London. On flights between Tianjin and Zhengzhou and Tianjin and Sydney students may check 3 x 23kg bags. This offer is also valid on routes between Chongqing and Melbourne and between Tianjin/ Xi’an/ Chongqing and Auckland. To take part in this offer, students must first book their ticket online and then email the airline with their booking reference, phone number and photocopies of supporting documents, such as a student visa. UK airline Flybe offers a student hold luggage deal, which gives students 46 kg of hold luggage for the price of 23 kg. This weight must be divided between two suitcases, each weighing no more than 23 kg. To take advantage of the offer, students must purchase a 23 kg allowance and then show their valid student ID at bag drop, which will allow them to check a second bag free of charge. Sri Lankan Airlines offers students a free 40 kg baggage allowance, as well as 10% off their first booking and 15% off any bookings after that. In addition, parents or spouse get 5% off their ticket when they visit. Students must become FlySmiLes members in order to benefit from this offer. Once registered and with a ticket booked, an email must be sent to the airline, at which point students will receive cashback. Don’t delay, as this offer is available for tickets purchased between 22 March 2018 and 30th September 2018, for flights between 16 March 2018 and 31st March 2019. Thai Airways offers students a large 40 kg baggage allowance, which is 10 kg more than the standard economy baggage allowance. This allowance is available to students travelling from any Thai Online station in India to Perth, Melbourne, Sydney, Brisbane or Auckland. Students are advised to contact their Thai Airways office or travel agent in India to take advantage of the offer. 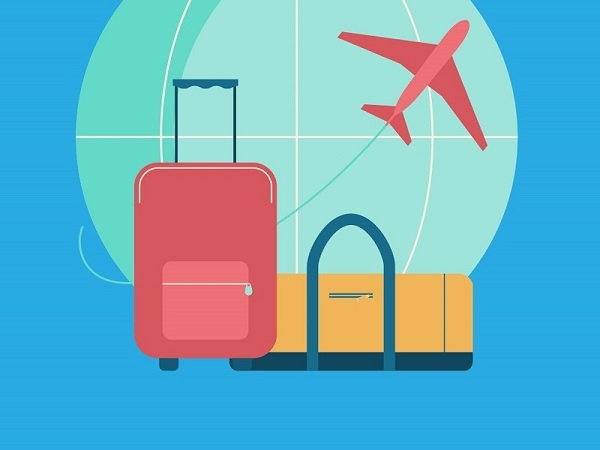 Instead of checking your bags onto your flight and having to drag them onto public transport or wait around for them at luggage carousels, you can simply send your bags ahead and enjoy a luggage-free journey. There is no need to worry about facing excess baggage fees at the airport or frantically reorganising your suitcases at the check-in desk so that they fit within baggage allowances. Instead Send My Bag can pick your luggage up from your door and deliver it to the door of your final destination, whether that’s a hotel, home or university. Learn about how to send unaccompanied baggage. Find out more about the many benefits of shipping luggage with Send My Bag.